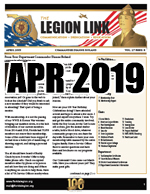 Your next Legion Link will post on April 1, 2019. 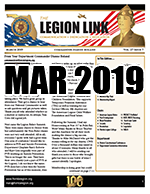 March 15, 2019 is the deadline for all article submissions for the April edition. 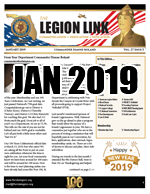 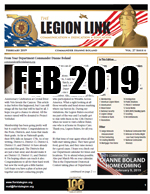 Please email all articles, photos, and questions to legionlink@floridalegion.org, or you can submit your article online, click here.